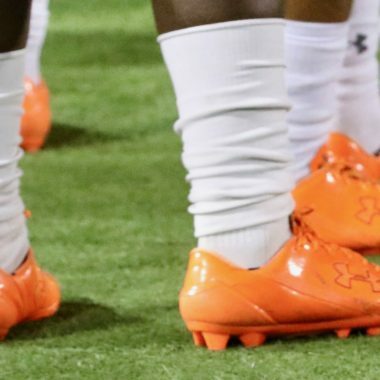 Orlando, FL – In front of a crowd of 39,610 at CampingWorld Stadium in Orlando, The Oklahoma State Cowboys held off the Virginia Tech Hokies 30- 21. Virginia Tech (9-4; 5-3) vs. Oklahoma State (10-3; 6-3) entertained the crowd with big plays form big time players on a big stage. NFL prospect Mason Rudolph threw for over 300 yards completing passes to eight different receivers. Red shirt freshman Virginia Tech QB Josh Jackson showed lots of grit playing particularly well late in the game mounting a potential Hokie comeback. 2 – Oklahoma State had 2 receivers who finished the game with over 100 yards receiving. James Washington was targeted 10 times, catching 5 passes for 126 yards and 1 TD. Marcell Ateman caught 5 passes for 107 yards. 3 – Virginia Tech struggled playing “keep-away” from the Cowboy offense. The Hokies offense only had 3 drives with double digit plays. They did have an 18 play drive eating up 82 yards and killing 10:06 off the clock. Result of the drive was a fumble recovered by the Cowboys. 16.7 – During the regular season OKState averaged 7.6 yards per passing attempt. Tonight, the Cowboys were far above their season averaged with 11 yards per attempt versus the Hokies and 16.7 yards per completions. Cowboys really stretched the Hokie defense finding gaps in zone coverage and winning man to man match-ups. 41% – Tech’s defense made the Cowboys work for every third down conversion. Cowboys only managed to convert 5 of 12 third down conversions…41%. During the season Tech held their opponents to just 26% on third down conversions. 92 – Virginia Tech ran 92 offensive plays tonight totaling 518 yards. Hokies averaged 413 yards of total offense during the season. 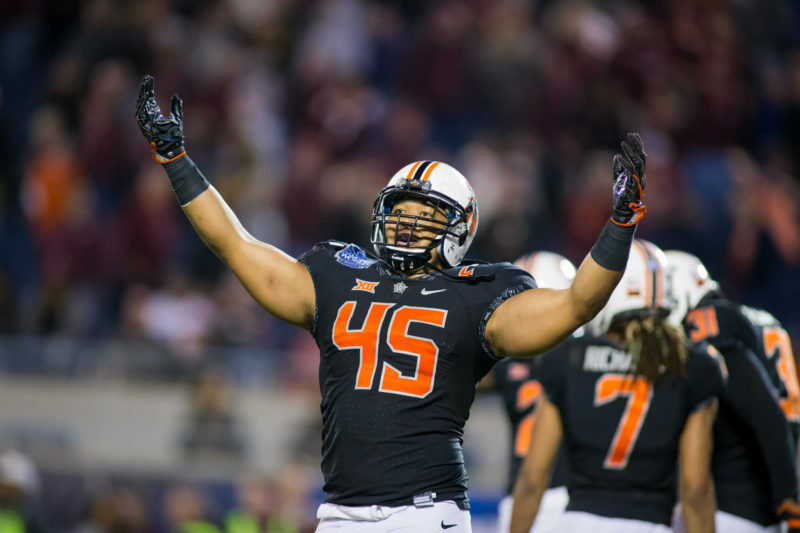 141 – Oklahoma State entered the Camping World Bowl averaging 180 yards rushing per game. The Hokies held the Cowboys far below their average finishing the contest with 141 net yards on the ground. 352 – Oklahoma State QB MASON Rudolph completed 21 of 32 passes for 351 yards and 2 TDs. Mason torched the athletic secondary of Virginia Tech. Mason entered halftime with 145 yards passing.